Small- or medium-sized businesses run on hard work, dedication and loyal customers. 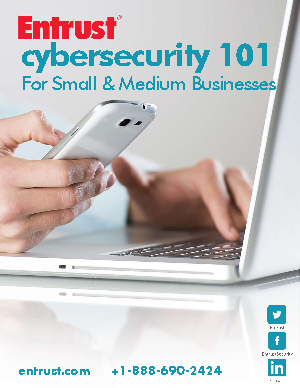 But size shouldn’t exclude SMBs from using the proper security technology to protect online customer identities. That’s why Entrust offers nine simple tips to improve security for SMBs and end-customers alike. From basic techniques like updating software to more advanced authentication strategies, this guide ensure your business is establishing the proper security foundation in today’s hyper-connected world.